In these resolutions, the United States government recognized that the premeditated and well-organized mass murders, rapes, forced detentions, torture, and forced expulsions of hundreds of thousands of defenseless Bosnian civilians as well as the wanton physical destruction of the Bosnian people's ancient cultural, national, and religious objects and symbols that took place from 1992-1995 constituted a vicious genocidal campaign carried out by Serb forces intent on extirpating the native Bosnian population from its ancestral homeland. The passage of these landmark resolutions was a vital step in remembering the victims of genocide and thwarting the efforts of individuals and organizations intent on denying the Bosnian Genocide. History has shown that genocides that are not recognized, remembered, and discussed are inevitably denied, trivialized, and forgotten. It is disappointing that six years after the United States government formally recognized the Bosnian Genocide we rarely hear the American media and political establishments refer to it as such. Today we hear about the Rwandan Genocide, the Armenian Genocide, the Holocaust (the genocide against the Jewish people), the Cambodian Genocide, and even the genocide in Darfur but almost never do we hear the Bosnian Genocide mentioned or discussed by the media and our public officials. When the 1992-1995 genocidal campaign against Bosnian civilians is discussed in the media and in political circles we often hear about an "ethnic conflict", about a "civil war", about "ethnic cleansing", about heinous atrocities committed against civilians because of their ethnicity or religion, and we hear about the "massacre" at Srebrenica - what we often don't hear is the word genocide being used to correctly and succinctly describe the nature of the crimes committed and the intent of the perpetrators. Despite the fact that the International Criminal Tribunal for the Former Yugoslavia (ICTY) and the International Court of Justice (ICJ) have both rendered judgments [ii] that the atrocities committed by Serb forces in Srebrenica were acts of genocide as it is defined by international law [iii] , members of the news media continue to misleadingly refer to it as a "massacre" more often then they refer to it as genocide. It's rather shocking that more than a few well respected sources of news and information seem to think that the word massacre, which denotes an indiscriminate and brutal slaughter of people [iv] , is in any way interchangeable with the word genocide which denotes a specific well defined international crime - considered to be the most heinous crime imaginable. Other well researched instances of genocidal mass slaughter of Bosnian civilians that took place in towns and villages like Visegrad, Foca, Prijedor, and Zvornik - just to name a few -are almost completely ignored. It seems that the entire four year genocidal military campaign intent on establishing an ethnically pure "Greater Serbian" fascist state that took the lives of hundreds of thousands of civilians, resulted in the rapes of thousands of young girls and women, the forced displacement of millions, and the complete destruction of many priceless national, religious, and cultural treasures all over Bosnia-Herzegovina has been reduced by the American news media and political establishment to one horrifying incident in July of 1995 that is routinely referred to as being merely a large "massacre" of "Muslims" seemingly separate and disconnected from all other then ongoing and ideologically connected genocidal massacres against the Bosnian people. 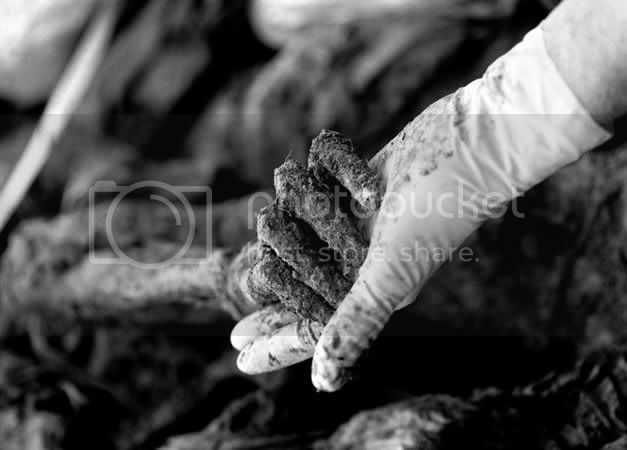 We need to start thinking of the genocide committed in Srebrenica as being to the Bosnian Genocide what the Auschwitz extermination camp was to the Holocaust - one preeminent and visceral example of a much larger genocidal campaign. It's unfortunate that the solid evidence that has been collected over the past decade and a half proving that genocide took place, the international court rulings that unequivocally state that it did, and the national as well as international resolutions that formally acknowledge that it did are all seemingly ignored by a majority of those charged with informing the American public. By avoiding the use of the word genocide to correctly describe what took place in Bosnia-Herzegovina from 1992-1995, most American journalists, editors, and public officials are knowingly or unknowingly trivializing the Bosnian Genocide and are thereby opening the door to historical revisionism and genocide denial. Public officials and members of the news media can and must do a better job of presenting the truth about what happened in Bosnia-Herzegovina to the American public and informing themselves and their respective audiences about the genocide that was committed in Bosnia-Herzegovina as well as all other historical and currently ongoing instances of genocide. Our ability to prevent future genocides from taking place depends on us recognizing and learning from those that took place in the past. For the sake of serving the truth, upholding justice, and working towards a future free from genocide and mass atrocities against civilians it is time for the 1992-1995 genocide in Bosnia-Herzegovina to be fully recognized, for it to be referred to by its proper name, for the American public to be informed about it, for its victims to be honored and remembered, for its perpetrators to be brought to justice, and for its painful lessons to be learned and applied - it's time we started talking about the Bosnian Genocide.